Shop for women's shoes at discounted prices at the . All sales are final. Cash and cards are accepted. 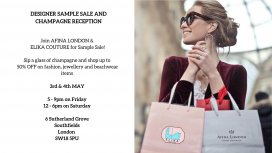 Join AFINA LONDON & ELIKA COUTURE for Sample Sale! Sip a glass of champagne and shop up to 50% OFF on fashion, jewellery and beachwear items. Shop for bridal gowns at reduced prices at the Precious Moments Bridal Wear Clearance Sale. Call 01268 655888 to book an appointment. 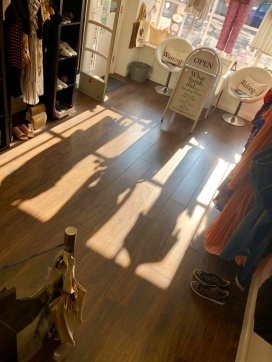 Shop for women's apparel, accessories, footwear, old basket ware, vintage suitcases, props, tea sets, and mannequins at reduced prices at the What Sarah did. Stock Room Clearance Sale. 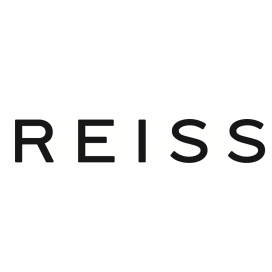 Take up to 80% discount on men and women's apparel and accessories at the Reiss Sample Sale. 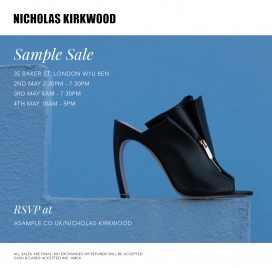 Take up to 80% discount on men and women's apparel at the JandM Davidson Sample Sale. 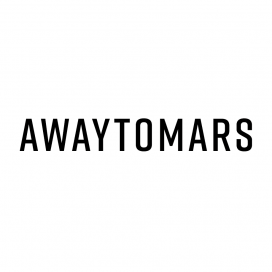 Take up to 90% discount on men and women's apparel at the AWAYTOMARS Sample Sale. 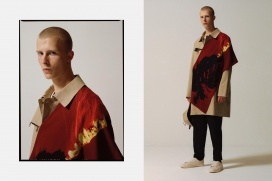 Take up to 80% discount on men and women's outerwear at the MACKINTOSH Sample Sale. 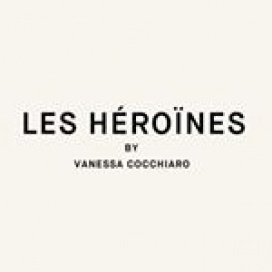 Take up to 70% discount on women's apparel at the Les Héroïnes Clearance Sale. Sizes are 6 to 14. Shop samples and past season styles at up to 80% off retail, with prices starting from £5.00! There'll be clothing for girls, boys and baby, including dresses, knitwear, tops, skirts, and trousers, gifts and party outfits. For ages 1month to 10 years. 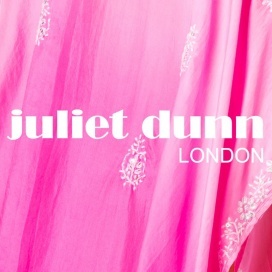 Shop for luxury beachwear for women from Juliet Dunn at reduced prices at the Sample Sale. 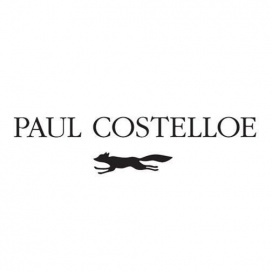 Shop bags for women at reduced prices at the Paul Costelloe Sample Sale.